Delicious fresh milk direct from the friendly farmers. The vending machine is easy to use and gives change. It's open all the time. You can park in the farmyard. Very easy. What a nice way to shop for milk and support farmers. A really customer friendly process and delicious, fresh, creamy milk, lovely! Lovely fresh milk this morning, thank you! "Milk is amazing, kids love it & are super impressed with the glass bottles! Brilliant idea all round"
"The Milk Vending Machine Is Awesome! 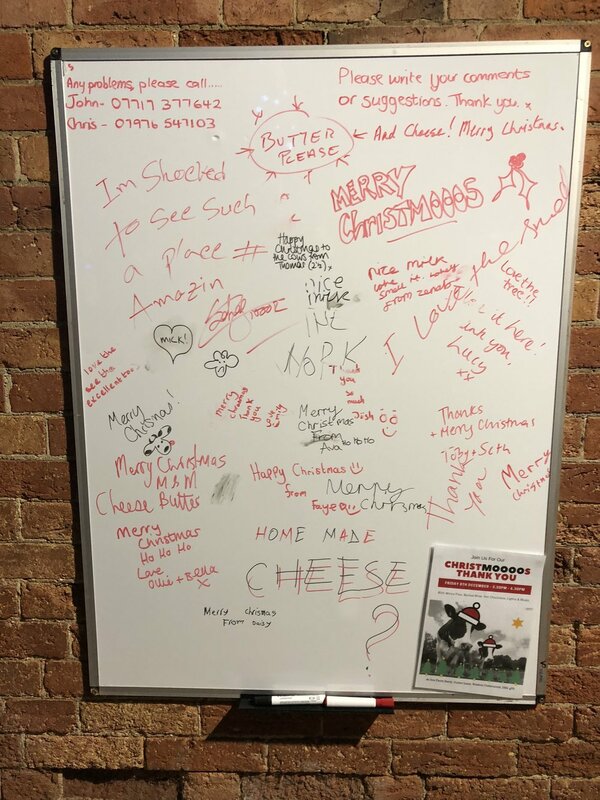 I Love It"
"Its great to support local business when you can so it is good to see a farm using technology to bring cold fresh milk to customers at the touch of a button. Only trouble is I have gone from drinking a pint a week to 3 litres! easy to understand dispensing system, gives change and supports UK farming"
"Milk tastes amazing, we will come back every week"
"Simply amazing to buy our milk straight from the farm! Charlie is a big fan of this kind of shopping!" "Excellent fresh, cold, delicious milk at the push of a button....the whole family is drinking glasses of milk again! Thank you so much for setting is up!" Great idea, lovely people, tasty milk! Thanks. Love to support the farmer! Tastes just like it did when I was a kid in Derbyshire instead of 4 pints of BOB which lasts oddly for weeks? Buy local! Thank you for the lovely milk.. will definitely be buying my milk from you from now on. 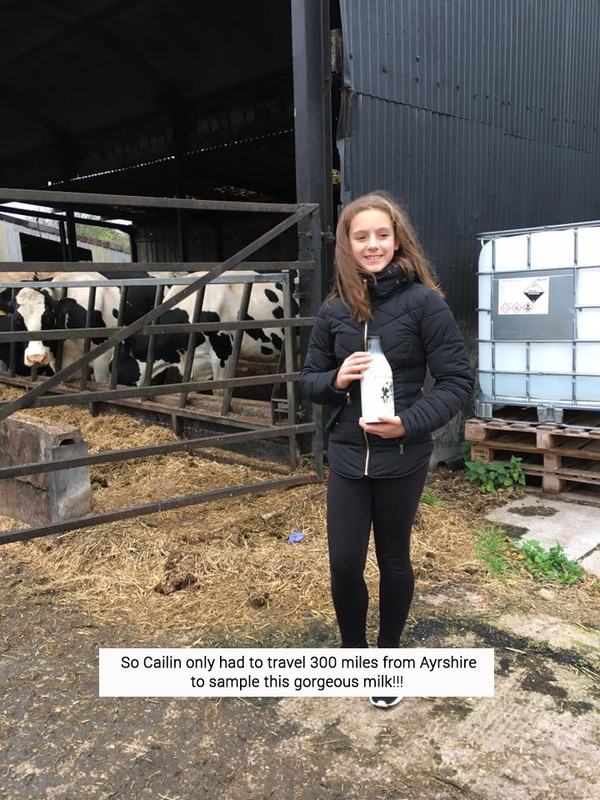 "Lovely fresh milk straight from the farm and easy to use - support your local dairy!!" "Wow, so exciting! I can highly recommend...get yourselves there!" Very friendly farming family, selling excellent quality milk! Nice to support a local business by buying direct from the farmer! Great fun using the milk vending machine, kids love it! 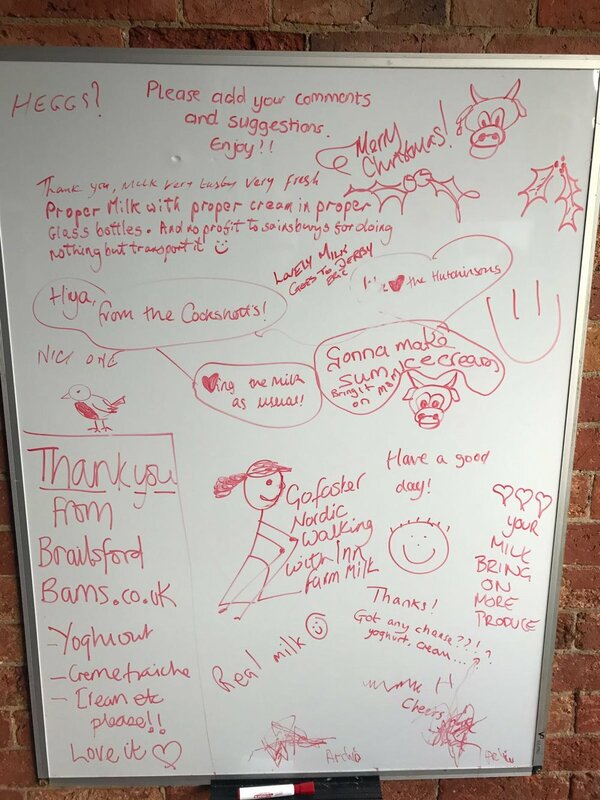 "Brilliant idea, so nice to have access to local fresh milk!" "Just bought your milk, My husband couldn't wait. Verdict 'absolutely gorgeous!' brilliant enterprise"
"Delicious, fresh milk straight from the farm. Will definitely be back for more!" "Had some milk from here - delicious"
"Amazing!!! Easy to use and what a treat. Plus added bonus of helping a local business. Won't be buying our milk from anywhere else now"
My girls love the fresh milk and I like supporting local businesses. A great initiative and the milk tastes delicious! "Fabulous place, we visit every week to see the cows and buy some delicious milk"
"I used your new machine last Sunday while on the open gardens trail. I'd like you to know it's the most delicious milk I have tasted in a long time"
"Congratulations John and family. Best of luck with the new venture. Great cows make amazing milk"
"Close by and always open 24/7. Epic milk vending machine"
Great for the community far and wide - proper tasting fresh milk available at all times!! "The cold creamy milk tastes delicious, leaves supermarket milk in the shade. So easy to operate, and lovely and clean too. We will def be back!" Vending Machine Open 24 Hours A Day. Excludes Christmas Day & New Years Day.